The UVMBA has two custom rollers that can usually be found at Creepy Teepee. 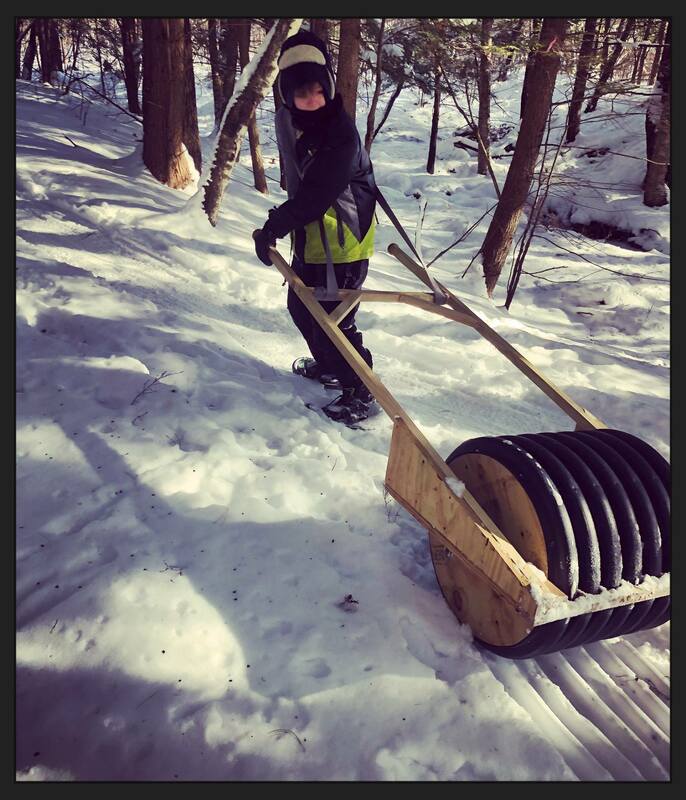 Rollers can be used by anyone while snowshoeing. If the snow is soft and deep then it’s better to hold off on rolling it until the snow has been packed, since the roller doesn’t do much as much packing as it does smoothing out the snow.